How to Remove Raccoons: What Noises Do Raccoons Make? Hi my name is Brendan Mangnitz, I have been in the Nuisance Wildlife Removal industry for nearly 6 years after I graduated from College at UF with a background in Entomology and Wildlife Biology. I have seen and controlled just about any wildlife issue you may think of. I have dealt with Raccoons in apartments complex, Raccoon removal from your everyday house hold, Raccoons in the Attic, Raccoons digging up yards, Raccoons in Pools, Raccoons stuck in Chimney’s, and the list goes on and on. 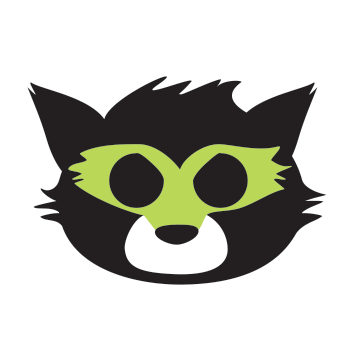 I have used several different control and removal methods for raccoons and that’s what I want to share with you guys on our website. Here is a video of a raccoon I caught in an attic. Listen to the sounds it makes, are you hearing raccoons in your attic? This article is about how to remove raccoons from your home, attic or property; we will also go over the noises that raccoons generally make. Many of my customers, clients and even technicians ask me what type of noises and sounds do raccoons make? Although this isn't generally a good method to diagnose without a professional animal inspection, you should also look at my other page on raccoon feces and urine because identifying raccoon feces is a better way to diagnose raccoon existence. However, raccoons do make noises that can be helpful in confirmation of raccoons in the attic, raccoons on your lawn or even raccoons inside your home. First, let's start off with the sounds that raccoons make in the attic. Raccoons are larger mammals and generally weigh between 10 and 15 pounds, so when they walk on your roof you can actually hear them through the shingles. It will sound like there's something running around on the roof. If the raccoon opens up the soffits or gets into your attic you will still be able to hear the raccoon rummaging through the insulation. Raccoons can be sneaky and quiet if they want to be, so you may not hear them at first. Once they become comfortable in your attic and feel safe, you will hear them running around. Raccoons can remove insulation. You will also hear raccoon sounds through your drywall. The sounds a raccoon makes will sound like loud scratching. Raccoons will stomp on the drywall. Honestly, I tell my customers if it sounds like there's a party upstairs, you might actually have raccoons in the attic. Raccoons tend to be quite loud, unlike rodents or animals that are small enough to run around silently. 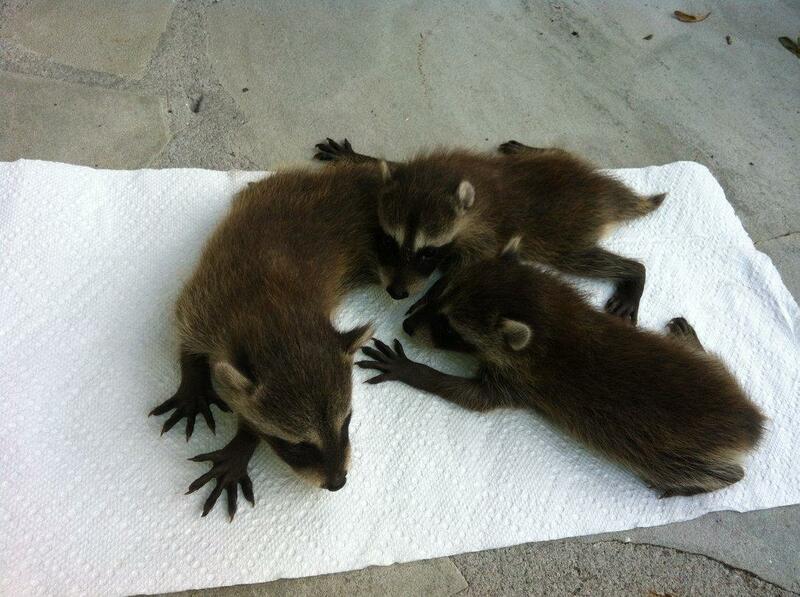 One sound you may hear raccoons make in the attic is the mother raccoon calling for her babies. You can click on my YouTube video and listen to the sounds of a baby raccoon calling for its’ mother. When the mother raccoon leaves the attic, her babies will become afraid and these raccoon babies will make a chirping sound that’s very similar to high-pitched birds. This raccoon chirping and raccoon noises in the attic is the mother calling to her babies, that the raccoon babies are hungry in the attic, the raccoon babies are scared or even that the raccoon babies might be in danger. If you enter an attic and you think you have raccoons from sounds of the baby raccoons calling for the mother you hear, you need to leave the attic immediately. Some of my customers ask me about sounds they hear at night. The sounds of raccoons at night may be the mother raccoon calling the baby, the baby raccoons calling for the mother, or even female raccoons calling a male raccoon for mating. If you are hearing the sounds and noises that raccoons make, you want to stay away from those sounds! Do not go towards them! If a raccoon thinks that a human is threatening it or its raccoon babies’ safety, the raccoon can become extremely aggressive and that raccoon may try to attack you. I absolutely recommend staying away from raccoons and if you hear raccoon noises or raccoon sounds you should contact a raccoon trapper and raccoon removal company immediately. Only professionals know how to get you taken care of. You can hear raccoon sounds at all hours of the day, although raccoons are generally nocturnal. If raccoons have babies in the attic, those raccoon babies can make noises during the day when the mother raccoon leaves to get food or if there are issues with the baby raccoons. The mother raccoon can also make calling sounds during the day for help; that is why customers sometimes call me and say they hear noises at night or they think that they might have an issue with raccoons but they're hearing the noises during the day. 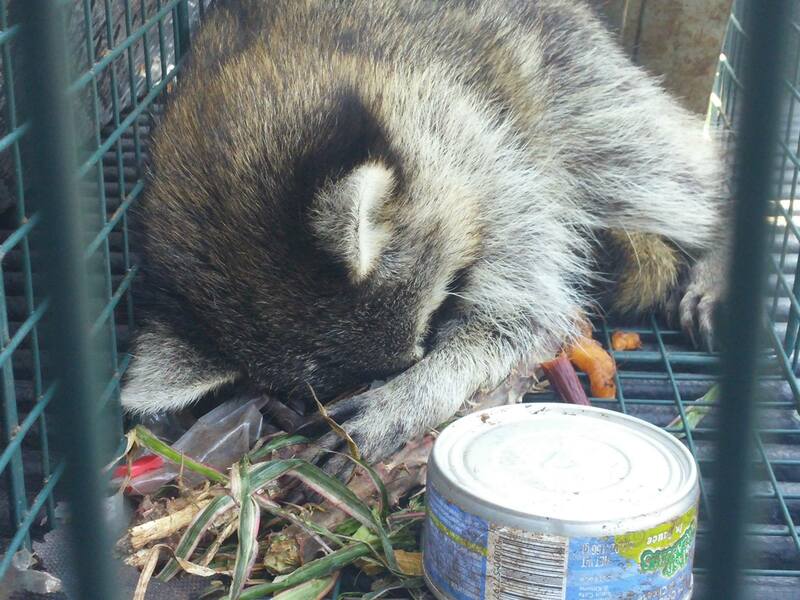 Raccoons can be a nuisance 24/7 when you deal with wildlife. Although it is more common to hear raccoon noises at night, do not rule out that you might have raccoons in the attic if you hear the sounds during the day. If you check out the video below you will hear the sound of a mother raccoon that I caught in an attic. I hand-removed the baby raccoons so you can hear the sound of the mother raccoon talking to the baby raccoon and the baby raccoons talking back to the mother raccoon. I had my technician Corey with me during this raccoon removal and he helped me handpick the raccoons out of the attic. We were able to find the baby raccoons because of the chirping and loud calling sounds that the baby raccoons were making, since the mother was gone. We only went into the attic because we knew that we had successfully trapped and removed the mother raccoon earlier, otherwise it would have been too dangerous for Corey and I to go into the attic. If you think you are having an issue with raccoons in your attic or you have Raccoon Damage and want to get an expert opinion on the sounds you are hearing, give me a call! 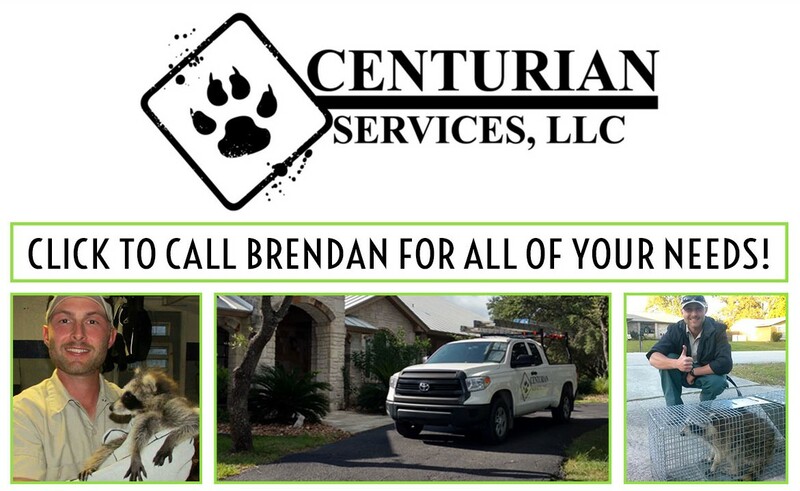 My name is Brendan Mangnitz with 24/7 Wildlife Control and I am always available to help identify the sounds you hear, and I would be happy to send one of our technicians out to assist you.